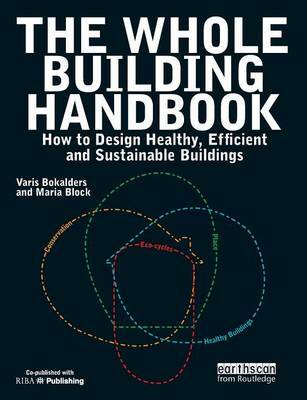 The Whole Building Handbook is a compendium of all the issues and strategies that architects need to understand to design and construct sustainable buildings for a sustainable society. The authors move beyond the current definition of sustainability in architecture, which tends to focus on energy-efficiency, to include guidance for architecture that promotes social cohesion, personal health, renewable energy sources, water and waste recycling systems, permaculture, energy conservation - and crucially, buildings in relation to their place. The authors offer a holistic approach to sustainable architecture and authoritative technical advice, on: * How to design and construct healthy buildings, through choosing suitable materials, healthy service systems, and designing a healthy and comfortable indoor climate, including solutions for avoiding problems with moisture, radon and noise as well as how to facilitate cleaning and maintenance. * How to design and construct buildings that use resources efficiently, where heating and cooling needs and electricity use is minimized and water-saving technologies and garbage recycling technologies are used. * How to 'close' organic waste, sewage, heat and energy cycles. For example, how to design a sewage system that recycles nutrients. * Includes a section on adaptation of buildings to local conditions, looking at how a site must be studied with respect to nature, climate and community structure as well as human activities. The result is a comprehensive, thoroughly illustrated and carefully structured textbook and reference.